A triumph of colours at the latest Salone del Mobile in Milan, at Minforms stand, ranging from pastel to fluorescent shades. They were applied to vintage-style pieces of furniture, yet also featuring a high-tech and functional contents. And Minforms in its tables, chairs, dressers and furnishing accessories collections, actually mirrors the freshness and contemporary style of the young talented designers that they believe in, who propose an avant-garde design, sometimes sober and sometimes fanciful, anyhow always authentic and environmentally-friendly. An original design, widely using solid wood, sheet metal, glass, ceramic and aluminium, with sinuous and eye-catching shapes. One of Miniforms’s most symbolic piece of furniture is Caruso dresser, that invites you to sit down, take a break, and find again the magic to hear and see an object that plays good music. It stands on the edge of irony, a little futuristic, a little nostalgic, managing to combine hi-tech to the living for a multi-sensory décor. Caruso, designed by Paolo Cappello, is equipped with a refined sound system with 4.0 bluetooth connection that ensures a surprising sound quality. 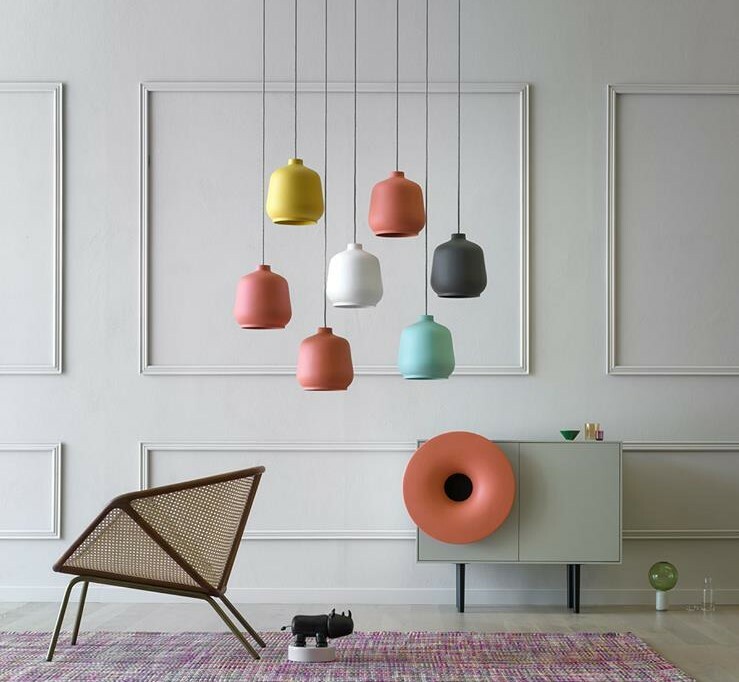 Developed with MDF frame and a wide decoration reminding the shape of a ceramic gramophone, Caruso upsets the concept of traditional furnishing, expressing at best the Minforms style, that can surprise and is dedicated to those who really want to customise their homes, with no fear, to make their personality stand out. This brand provides plenty of amusing and interesting products. Not just vintage furnishing but emotional design, too! At Gallery09’s, you can admire Caruso and many more Miniforms pieces of furniture. Come and discover them.